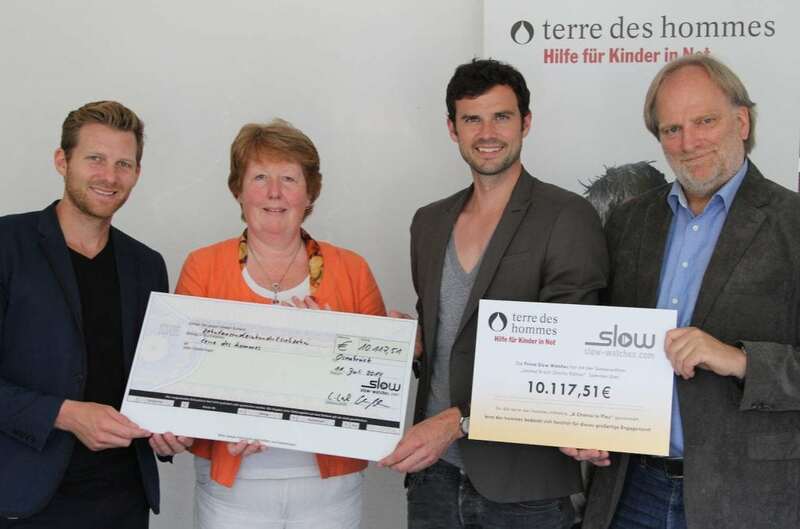 We went on a little road trip to our partner terre des homes in Osnabrueck to hand over the cheque of over 10K EURO (10.117,51 to be precise) from our charity special – the limited Brazil Edition! Thanks to all of you for contributing to terre des hommes’ great program “A Chance to Play” that gives Kids in Brazil their right to play! we created a very special watch edition by using 1950 Brazil Retro footballs and crafted watch straps out of them with our own hands. We offered only 24 pieces for sale and you guys ordered all oft them within a few days! Now the entire sales (not only the profit) went to terre des hommes and their program „A Chance to Play“ that provides support to kids in Brazil who really need it. We are really proud that we are already able to support great charity projects like this in a significant way. BUT: That has only been possible with your amazing help!! Thanks so much again to all of you! Well done!! !